The (Vegan) Triple Bacon Salad | Why “Farmers Market Vegan”? 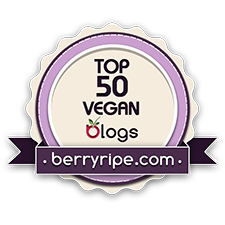 Over the course of the past four years of my blogging endeavors, my understanding of and relationship to food, veganism, social justice, and, yes, farmers markets has shifted considerably. Indeed, way back in 2011 when I first conceptualized my blog, I held rather naive, perhaps even romantic notions of all of these entities, and hadn’t even begun to realize the coalescing forms of structural subjugation rampant in our society. Today, after a turbulent four years involving enrollment at a progressive college and eating disorder recovery, I’d like to think of myself as harboring more nuanced views on all of the above (though I certainly don’t purport to understand them in all their complexity). As such, this past summer I penned a new draft of my ever-developing story and blogging “mission statement” of sorts. Though I made this piece of writing available on the “About Me” page of my blog a couple of months ago, in an effort to share more broadly the new meaning behind my blog (and to free up some time in my hectic college-student schedule), I’d like to republish my “blogging autobiography,” if you will, in a separate post today. Waiting at the bottom of this story is the recipe for an indulgent-tasting amalgamation of richly umami flavors and a satisfying contrast of hearty and crisp textures…with three shots of bacon (vegan, of course!). A bed of bacon-flavored salad greens (who knew that sesame oil, smoked paprika, and garlic powder combined to create an eerily accurate bacony taste?) forms the base of this salad, nearly charred roasted cauliflower and shiitake mushrooms provide bacon’s crispy-chewy juxtaposition, and succulent tempeh bacon tops the dish. To offset the richness of these three salad components, a drizzle of bright and tangy “ranch” dressing finishes everything off. An impressive meal-sized salad, if I ever saw one (and I’ve seen many). My relationship with food and activism began as early as childhood, when I would perch upon the kitchen stool alongside my mother as she prepared dinner that my family would share each evening. This youthful connection with food grew into a full “foodie” identity by age twelve, when my mother and I ogled at the culinary masterpieces showcased on Iron Chef and Top Chef every week. As a freshman in high school, I began planning, shopping for, and cooking my family’s weekly dinner menus. Having become quite the make-from-scratch-er, I soon began to disdain packaged convenience foods, due to both their low quality and ability to completely separate individuals from developing any sort of meaningful relationship with their food. Naturally, my interest in high-quality, homemade, unprocessed food as well as its convivial nature led me to my local farmers’ market, where I first inhaled the succulent aroma of fresh heirloom tomatoes and gawked at rainbow-hued carrots while befriending the farmers who produced them. Though I had hardly begun to understand the full extent of the problems surrounding America’s current food system (and beyond), I still sought haven at the farmers’ market from the few predicaments I had already realized. My weekly interactions with devoted purveyors of organic produce, as well as with fellow shoppers who too became a bit verklempt over a particularly aromatic cantaloupe, provided me with a (rather naïve) foodie utopia of sorts. Come sophomore year of high school, however, my enthusiasm for food had morphed into an unhealthy obsession after an amalgamation of factors—constant judging of young women’s bodies on my gymnastics team, pressure to perform perfectly in academics at my highly competitive high school—led to the development of a fierce eating disorder. With my thoughts constantly fixated on calories—both in terms of eating fewer and burning more—my life suddenly lacked joy and passion. All of my consciousness was focused on waiting for my next meal, as these were the only times when I would allow myself to actually partake in the act that saturated my every thought. About a year and a half into my eating disorder, a classmate introduced me to veganism, to which I soon clung as a tool of further restriction. Lending less than a second thought to the ethical implications of a vegan lifestyle, I latched onto the diet for an unsuspicious reason to reject calorie-dense foodssuch as traditionally made baked goods, cream sauces, and ice cream (the vegan versions of which I now regularly enjoy). Conscious of this misguided and harmful reason for adopting a vegan diet, I felt uncomfortable every time I called myself a vegan—I knew I was a fraud. A combination of Colleen Patrick-Goudreau’s Vegetarian Food for Thought podcast and Alicia Silverstone’s The Kind Diet began to pave my path from a depressed, waif-like, phony “vegan” into an inspired, healthy, committed animal rights activist. Introducing me to the intense injustices humans perpetrate against our fellow beings, Colleen and Alicia unflinchingly explained the forced insemination of female cows in the dairy industry, the pulverizing of live male chicks in the egg industry, the role of animal agriculture as one of the most significant contributors to the world’s most serious environmental problems, and a plethora of additional shocking truths. Previously indifferent to anything unrelated to my obsessive eating habits, I now found a fierce passion ignited inside of me, a drive forceful enough to expel me from my zombie-like state and to shift my mental focus onto something vastly larger than myself – fighting the dominant, violent ideology of carnism. Suddenly faced with the urgent yet overlooked issue of animal exploitation, I somehow managed to forget about preventing my thighs from meeting in the middle and not consuming more than 25 grams of fat per day. I realized that directing all of my energy toward adhering to arbitrary, self-imposed rules would contribute absolutely nothing to the movement of compassion for all beings. I disposed of my calorie-tracking charts, replacing them with animal advocacy leaflets. I ceased to Google the most effective ab-toning workouts, and instead launched this blog as an educational resource for my classmates who had never before encountered veganism. I even yearned to (and successfully did) gain weight to combat the mainstream notion of vegans as gaunt, frail, and unhealthy. The only unyielding imperative dictating my once laughably self-restricted food choices was now not to consume anything that promotes the needless suffering of sentient beings. In the midst of this profound (and life-saving) transformation, I continued to patronize the farmers’ market—to this day, I still revel in my Saturday morning jaunts to the market. However, while after adopting a vegan lifestyle I still viewed the farmers’ market as an aspect of a potential reformation of America’s broken food system, I began to view many facets of the farmers’ marketas antithetical to what I perceived as its primary goal of broadening access to good, clean, and fair food. While I certainly couldn’t argue with the qualitative “goodness” of the market’s impeccable produce, I questioned the market’s tenets of “clean” and “fair” in terms of its support of animal agriculture. Consumers who understandably reject nonindustrial animal agriculture due to the huge threats it poses to the environment often opt for animals raised in small-scale free-range, grass-fed, and cage-free operations. These seemingly more sustainable farming methods, however, still effect the environment quite negatively. For example, pastured organic chickens affect global warming 20 percent more than do caged hens. Grass-grazing cows emit considerably more methane than grain-fed cows. If each grass-fed cow requires an average of 10 acres for grazing, and if we all 100 million of the cows in the U.S. on grass, then we would have to devote the entire Western half of the country’s land to cattle (this doesn’t even consider the space required of pastured chickens and pigs). As author, journalist, and author James McWilliams reminds us, “It’s not how we produce animal products that ultimately matters. It’s whether we produce them at all.” A truly “clean” farmers’ market would eschew the sale of animal foods. To describe the “fair” aspect of its goals, Slow Food nobly affirms that, “we believe that food is a universal right.” I wholeheartedly agree, especially considering the inexcusable food deserts largely concentrated in America’s communities of color, or the 870 million people worldwide who do not have enough to eat. If we agree also, though, that autonomy over one’s own body functions as a universal right, then with animal agriculture we infringe upon this liberty while misguidedly seeking to ensure that advocated by Slow Food (I say “misguidedly” because if all of the crops grown to feed livestock became available for direct human consumption, the available food calories worldwide would increase by up to 70 percent). Indeed, animal agriculture ensures the exploitation of non-human animals’ bodies while jeopardizing the health of the human animals who consume them, as well as the amount of crops available for direct human consumption. While we may not often hear tales of animal cruelty on small-scale farms, the treatment of animals on such operations often parallels that on factory farms. The cage-free label, for example, only stipulates that hens live uncaged among up to thousands of other birds in barns or warehouses, generally without access to the outdoors; it also permits forced molting. Additionally, I learned on a trip to the Poplar Springs Animal Sanctuary during the summer of 2013 that every single one of the sanctuary’s cows—all of whom the sanctuary rescued from cases of intense abuse—came from small-scale, family farms. Most importantly, however, I truly believe that supporting non-industrial animal agriculture inadvertently supports factory farming, since it does not question the notion of eating animals in general. As long as this carnist concept remains unchallenged, factory farms will always thrive, seeing as demand for meat will not decrease—and let’s face it, factory farms produce meat most efficiently, to the immense detriment of the nearly 10 billion land animals Americans consume each year. A “fair” farmers’ market would include non-human animals in the pool of beings whom they grant universal rights, especially if doing so meant that it would render the universal right of nourishing, plant-based food accessible to many more people. Coming to terms with the fact that the farmers’ market and the foodie community in general would probably not fulfill my idealistic notion of sparking a large-scale shift in America’s corrupt food system, I looked to strengthen my animal activism, becoming a devoted member of the Vassar Animal Rights Coalition (VARC) immediately upon entering my first year at Vassar College. Little did I know that freshman year (and beyond) would introduce me to a multiplicity of societal oppressions that existed among the speciesism that had kindled my activist flame. Suddenly, I found myself seeking to combat not only the exploitation of non-human animals, but such harmful “isms” as capitalism, colonialism, racism, sexism, ableism, neoliberalism, homophobia, and more. However, this well-meaning intention first manifested itself in a questionable manner as I began to draw links between these newly encountered social justice issues and the ones I knew well: veganism and animal rights. I found myself thinking: “Women’s reproductive rights are violated…just like female farmed animals are artificially inseminated! Black and brown bodies are systemically exploited…just like the bodies of non-human animals!” Veganism and animal rights provided me a basis for understanding the social justice issues about which I hadn’t read extensively, yet I soon realized the problematic nature of this framing. During the summer following freshman year, I and my close friend and VARC co-president found ourselves (as Vassar students often do) discussing intersectionality — a social theory suggesting that the various aspects of one’s identity intersect in complex ways, as do the ways one is treated by society because of such aspects. My friend said something hugely profound that day: “It’s not enough to appreciate social justice issues based on how they relate to the one in which we’re most involved. For real change to happen, we must understand the importance of such issues in and of themselves.” That statement has guided my activism ever since. While I will never forget that veganism and animal rights opened the door to my commitment to advocacy, I’ve since begun learning about and contributing to other social movements — not because they relate to veganism, but because their fights prove necessary in fostering a more just society. I think that all activists must work to recognize the confluence of inequities prevalent in our world, for disparate activism has the potential to create animosity between the feminists over here and the animal rights activists over there. We must realize all of our fights as intimately connected, and commit to individually understanding all of them. For me, an integral aspect of my intersectional activism involves challenging the problematic aspects of the current vegan movement, including its racism, sexism,ableism, and focus on capitalist, consumer-based strategies. Because these oppressions would exist even if I were not vegan, and my giving up veganism would enforce another very real oppression, challenging such exploitative facets of today’s vegan movement does not involve dismissing veganism altogether. Instead, I try to engage in a number of actions in the hopes of combating the privileges (access to a bounty of plant-based foods, an income to obtain such foods, and a social circle that won’t disown my non-mainstream lifestyle) that allow me live a sustainable vegan lifestyle. Such actions include supporting admirable organizations like Food Not Bombs and the Food Empowerment Project that work to make nourishing vegan options accessible to marginalized communities; working to free myself of the capitalistic mindset of nonstop accumulation of material goods; working not to reinforce my various privileges in my daily interpersonal relations; and educating myself about the histories and current manifestations of various oppressions by devouring anti-racist, feminist, anarchist, etc. literature and following progressive news sources. Veganism is only the first way in which I hope to challenge the capitalist, patriarchal, colonial, speciesist, etc. society that makes it super easy to thrive as a white, straight, cis-gender individual with an upper-middle-class background like me. And thus, you have the long, convoluted story of my development as a vegan and an activist. The name of my blog—Farmers’ Market Vegan—serves as a nod to the origins of this story, as well as a reminder to all that combating systemic oppression in all manifestations involves much more than simply buying a bunch of kale at the local farmers’ market. In a medium-sized bowl, whisk together the maple syrup, olive oil, liquid smoke, tamari, cumin, black pepper, and cayenne (in the first grouping of ingredients). Toss the tempeh slices in the marinade and allow to sit while you prepare the rest of the salad components. Toss the cauliflower florets and sliced shiitake mushrooms with the coconut oil, smoked paprika, and liquid smoke (in the second grouping of ingredients). Spread out in an even layer on a baking sheet and roast for 20-25 minutes, or until the veggies are crispy. Meanwhile, in a small bowl, whisk together the vegan mayo, water, apple cider vinegar, garlic, dill, parsley, and chives (in the third grouping of ingredients). Set aside. Heat a medium-sized skillet over medium-high heat. Place each slice of marinated tempeh in the skillet and sear until browned, 2-3 minutes on each side. Remove from the heat. While the tempeh cooks, in a large bowl, toss the mixed greens with the sesame oil, smoked paprika, and garlic powder (in the fourth grouping of ingredients). To assemble, place a bed of half of the dressed salad greens on two large plates. Scatter half of the roasted veggies over each bed of greens. Place half of the tempeh bacon on top of each salad. Drizzle half of the ranch over each plate. Serve. Recipe submitted to Virtual Vegan Linky Potluck. My dinner plate, generously sprinkled with nutritional yeast. Returning after a weekend-long hiatus to my Vegan MoFo theme of the dinners cooked and enjoyed by my 21-person on-campus vegetarian co-op, I’d like to share with you, dear readers, last night’s meal created by my close friend Gabe and new Ferry member Andrew (a merging of old and new, if you will!). These fabulous Sunday dinner cooks utilized the flavorful summer squash featured in Ferry’s weekly farm share from the Poughkeepsie Farm Project (PFP), highlighting the veggie’s succulent yet delicate flavor. Accompanied by simply prepared lentils and creamy short-grain brown rice, the summer squash provided an unpretentious meal, refreshing in its accentuation of the veggie’s true character. Seeking to include a leafy green in all of my meals, I tossed a handful of arugula from the farm share with a splash of olive oil and included it on my dinner plate, along with a healthy dusting of nutritional yeast (which, by the way, perfectly complements the flavor of summer squash…or of anything…like a shoe). In other news, my co-president Katie and I led the Vassar Animal Rights Coalition (VARC) in our first general body meeting of the semester, welcoming a surprising number of enthusiastic first-year students with an astounding set of poster-making skills. Here’s to a productive, community-building, and informative semester of outreach! As I mentioned in my last post, yesterday I enacted a baking tornado upon the Ferry kitchen in preparation for today’s Freshman Activities Fair, at which I will table for the Vassar Animal Rights Coalition along with my co-president Katie (yes, the very same Katie who interned with me at Compassion Over Killing this summer). The Fair will provide an ideal venue for new VARC member recruitment, campus Meatless Monday participants, and mentors to participate in our newly launched Veggie Buddy System, which pairs experienced vegans with veg-curious students to ease their transitions to veg*nism. To obtain funding for distributing baked goods at the Activities Fair, Katie and I applied to VegFund, a phenomenal organization that “empowers vegan activists worldwide by funding and supporting effective outreach activities that inspire people to choose and maintain a vegan lifestyle.” VegFund supported all of the feed-ins that we organized with Compassion Over Killing, as well as many of VARC’s food-related outreach endeavors last year. With VegFund’s help, we secured the money needed to produce 74 chewy apricot almond oatmeal cookies, 74 date-nut “crunchy sticky bites,” and 88 banana bread bites. After (almost) single-handedly baking for 150 minutes straight, Katie arrived at Ferry House to (almost) single-handedly design the display board for VARC’s table at the Activities Fair. The board proudly displays VARC’s newly designed logos (see above), a blurb explaining why we do not include chocolate or palm oil in any of our baked goods, an advertisement for the lecture that Carol Adams will give at Vassar on September 29 (WAY TOO EXCITED FOR THIS), an advertisement for VARC’s recently launched website and Facebook page, and photos of various VARC members interacting with rescued farmed animals at sanctuaries. At the Fair, we’ll also have computers available on which to sign up for VARC’s email list, our campus Meatless Monday campaign (now in its third year), and our aforementioned Veggie Buddy System. Katie with our fabulous display board. To refuel after a busy day of Fair preparation, I whipped up a summery salad of heirloom tomatoes, cucumbers, and corn in a dressing of olive oil, tamarind paste, apple cider vinegar, and maple syrup. Served atop a pile of mixed greens, accompanied by a pile of brown rice and hummus, and sprinkled with nutritional yeast, the salad nicely showcased the end of summer’s bounty of produce. Fortunate enough to have an on-campus farmers’ market, we Ferries employed some of the house’s collective food budget to partake in these phenomenal edibles. Sadly, I suspect that these heirlooms will constitute the last tomatoes worth tasting of the year. Stay tuned for tomorrow’s MoFo post, which will recount both VARC’s Activities Fair ventures as well as our wild edibles walk with vegan forager Zaac Chaves, and our subsequent picnic. Today, dear readers, I’d like to direct you to the “journal of food news and culture” known as Food Politic. There, you’ll find a guest post of mine that recounts my journey from a farmers’ market enthusiast into a food-lover deeply concerned about the politics, ethics, and environmental impact of the food system, particularly in terms of animal agriculture. The piece also explains, as denoted by the title of this post, why I chose to name my blog “Farmers Market Vegan.” I would hugely appreciate it if you would visit my article on Food Politic and leave a friendly comment, seeing as I expect to receive mostly antagonistic responses from the site’s largely non-vegan audience. Thanks oodles in advance! In other news, I’m thrilled to announce that, for the third year in a row, I plan to participate in the Vegan Month of Food (MoFo), which this year will take place in September (and thus starts tomorrow, oh man!). This year, I’ll focus my posts mainly on the food concocted and enjoyed by my 21-person vegetarian co-op at Vassar, known as Ferry House. Check out my past MoFo posts if you feel so inclined. At not more than seven years of age, I typed up a rainbow-hued list of menu items (including “French toast sticks” and “peanut butter sandwich”), stuck it inside a three-ring binder, and scrawled “Seiter’s Place” in Sharpie across the front. At age thirteen, the pique of my Food Network fandom, I received (facetious, I’m sure) confirmation from my mother that I could attend culinary school as long as I earned my undergraduate degree first. After going vegan in my sophomore year of high school, I jokingly entertained requests from friends that I serve as their personal chef and health coach. In other words, I’ve long viewed the culinary arts as a legitimate and desirable career option to pursue. Fully intending to devote the remainder of my professional and personal life toward bettering the lives of animals, promoting veganism, and fostering a more equitable worldwide society, I envision before me a sea of career paths: nonprofit management; grassroots activism; magazine, book, and blog authorship; restaurant work; the list continues. I’m steadfastly certain, however, that my primary livelihood will include two aspects: writing and cooking. Thus, at some point in my life (perhaps after writing my first book on the links between plant-based diets and egalitarian societies, or after launching a nonprofit devoted to dismantling corporate seed-patenting and winning back the rights of farmers in the non-Western world to grow their own food…or whatever), I would wholeheartedly love to open a vegan café/community bookstore that hosts social justice-related speakers, book and discussion groups, yoga workshops, and various other educational outreach events—kind of a Busboys-and-Poets-esque type thing. Engaging in such a project would allow me to combine my passions of social justice activism, the written word, and culinary creativity in a meaningful manner, with the potential to reach, educate, and inspire a generous amount of individuals. I’ll iron out all of the details later, but for now, I’d like to provide you with a working menu for the seasonally inspired Farmers’ Market Vegan Café. Seasonal veggies and greens scrambled with tofu in a curried peanut sauce. In preparation for traveling to any city in which I intend to spend an extended period of time, I create three detailed lists: veg-friendly restaurants to visit, yoga studios to try out, and farmers markets to patronize. The planning for my summer move to DC proved no differently. While I’ve already introduced you to the compilation of DC restaurants that excite my gastronomic curiosity, and intend to profile the activist-oriented Yoga District at which I’ve become a summer member, today’s post regales the vibrant array of local, seasonal produce featured at three of the DC farmers markets nearest to my apartment. In the above handy-dandy map, the blue pin represents the Aya Community Market, the yellow represents the well-known Eastern Market, and the green represents the H Street Freshfarm Market. Below, you’ll find a detailed description of each market. Though the smallest of the three markets I’ve explored with only two booths set up on the day I visited, the Aya Community Market aspires to hugely noble goals. Founded by the nonprofit Dreaming Out Loud, the Aya Community Market seeks to further the organization’s mission to “empower the potential in under-served communities” by providing fresh produce, creating sustainable employment, and introducing resources promoting a healthy lifestyle to those living in food deserts and low-access neighborhoods. Indeed, in addition to functioning as a farmers market, Aya also provides a venue for eco-friendly living workshops, cooking demonstrations, health screenings, and live music and poetry. Regrettably, I missed the pleasure of experiencing any of the latter few exciting activities during my jaunt to the market, and none seem scheduled on Aya’s online calendar before I leave DC. I can only hope that Aya continues to serve the community in the manner it intends, and grow beyond its current humble size. Regardless of Aya’s questionable success, one of the two vendors with whom I interacted at the market provided me with two gorgeous bunches of Red Russian kale, a quart of fragrant strawberries, a box each of pastel green beans and squeaky sugar snap peas, and a bunch of beets complete with their greens. As DC’s oldest continually operated fresh food public market, the Eastern Market attracts a huge crowd of produce-admiring customers every weekend to its open-air farmers market. The outdoor market, open on Saturday and Sunday, boasts over twenty vendors selling fresh produce, prepared edibles such as hummus and barrel-brined pickles, and homemade body care products. Alongside these so-called “Farmers Line” vendors, a variety of arts-and-crafts merchants display their handcrafted jewelry, screen-printed t-shirts, painted ceramics, and more. Pickles galore! A vegan’s dream. Though its’ farmers market takes place only on the weekends, the Eastern Market houses indoor vendors every day. Some of them sell fresh fruit and veggies, but most of them sell the butchered flesh of various animals, creating a stomach-churning odor that dissuaded me from reentering the building anytime soon. Thus, I happily remained at the outdoor portion of the market, eagerly purchasing the last asparagus and strawberries of the season, a fragrant bunch of lavender that I proceeded to dry in my apartment, and one of the most beautiful bags of mixed greens upon which I’ve ever laid eyes. Unfortunately, judging by the cantaloupe and sweet corn available at the Eastern Market in late May—much too early for either of the crops’ seasons in this region—I would presume that not all of the market’s vendors source their produce entirely locally. Because I much prefer to eat exactly following the seasons, support a local economy as much as possible, and experience the intimate food-grower relationship of a true farmers market, I decided to visit a market slightly farther from my apartment than the Eastern Market in order to satisfy my three aforementioned criteria. After four weeks of my residency in DC, I finally paid a visit to what I’d consider the most ideal farmers market in close proximity to my apartment (though none can even hope to rival the absolutely impeccable Dane County Farmers Market that I’ve adored since childhood). Part of DC’s 11 producer-only Freshfarm Markets—”the leading voice[s] for farmers markets in the Washington, DC, metropolitan region, and a national leader in the local food movement”—the 9-year-old H Street Freshfarm Market operates every Saturday from 9:00 a.m. to noon. The H Street Freshfarm Market also functions as a partner of the H Street Main Street Program, which works to foster the revitalization of the historic, yet currently rather downtrodden, H Street Corridor. I had the pleasure of biking to the H Street Freshfarm Market on a gorgeously sunny morning, discovering a farmers market modest in size yet bountiful in high-quality produce. Two rows of about five vendors each lined the 13th & H Street block, offering peak spring goods from black mulberries to squash blossoms to microgreens to loaves of artisanal bread. Expectedly, I filled my tote bag to the brim, particularly excited about a box of fresh young fava beans that I later transformed into the Fava Bean Cakes pictured below—crisp patties of mashed potato, fava beans, carrot greens, and Middle Eastern spices, inspired by a (not originally vegan) recipe in Yotam Ottolenghi’s Plenty. I eagerly await my next jaunt to the H Street Freshfarm Market. If any of you, dear readers, reside in the DC area, I’d greatly appreciate if you’d inform me as to your favorite nearby farmers markets. While no farmers’ market can compete with that of my hometown—the largest producer-only farmers’ market in the U.S., recently deemed one of the world’s 17 greatest food markets—the Arlington Farmers Market, just across the street from my four-week-old home of Vassar, has saturated the DCFM-shaped abyss in my heart both with generous farmers evoking familiar midwestern friendliness, and glowlingly fresh produce from the scenic Hudson Valley. The small-scale market offers, along with fruits and vegetables, a wide array of handcrafted goods—from silver necklace pendants to soap to maple-walnut peanut butter to dill-pickled brussels sprouts—every Thursday afternoon from 3:00-7:00. To my immense satisfaction, I often spot a good many Vassar students perusing the market during my local-produce-fulfilling jaunts—a hopeful sign of the younger generation’s growing curiosity with and appreciation of connecting with the food they eat. I spend my first market dollars at a dependably crowded tent, popular thanks to their wide selection of juicy fall fruit—such as peaches, nectarines, plums, and concord grapes—as well as their vast array of brilliantly hued heirloom tomato varietals, from Green Zebra to Brandywine, of which they offer succulent sample slices. A box of fruit, a generous pile of heirlooms, and perhaps a cucumber or an ear of corn usually find their way into my tote bag from this stand (the name of which I do not know), implemented in fruit-sweetened granola or salads throughout the week. Next, I eagerly scamper over to the Phillies Bridge Farm Project to satisfy my every leafy-green-based desire, as well as to partake in a bunch of knobbly carrots or a pint of candy-like sungold tomatoes. Not only does Phillies Bridge supply me with verdant lacinato kale for smoothies and crisp mixed salad greens, they “feed hundreds of community members and engage over 2,500 people each year in the wonders of food production through our CSA, education, and community outreach programs,” playing an active role in the social justice realm of the farming world. My deep adoration for everything pickled propels me toward two stands featuring impeccably canned veggies: Awesome Specialty and Perry’s Pickles. I’ve so far sampled Awesome’s spicy, tender slices of Kimchi Carrots, and Perry’s irresistably tangy sauerkraut, but I can hardly contain my excitement in purchasing a jar of Awesome’s Dilled Brussels Sprouts or Spicy Pickled Okra. Unfortunately, Perry’s classic kimchi, in which I would otherwise gladly partake, contains fish sauce for “authenticity,” while their pickled pineapple contains sugar. Darn those questionable ingredients! While I don’t usually buy the goods offered by the Vermont Peanut Butter Company, I often gawk at their inspired flavor combinations, such as Maple Walnut, Cinnamon Raisin, and “Green Mountain Goodness” with flax and pumpkin seeds. On the downside, all of their flavors that contain chocolate also contain animal products, which intensely disappoints me seeing as I would happily sample a spoonful of their Champlain Cherry Almond Butter if not for its exploitative ingredients. I suppose I’ll just have to conduct some almond butter flavor experimentations of my own. Though not always present at the market, Stephanie’s Gluten Free Delights offers tantalizing cupcake creations, many of which satisfy vegans as well as those with gluten intolerances. On this particular market venture, Stephanie boasted three vegan, gluten-free cupcakes: chocolate-cherry cupcakes with vanilla bean frosting (pictured above left), chocolate-raspberry cupcakes with chocolate frosting, and spiced carrot cake cupcakes with creamy coconut frosting. Finally, Rusty’s Farm Fresh Eatery, a health-focused restaurant in Red Hook, sets up a stand headed by an eccentric white-haired man who somehow received the impression that I spearhead Slow Food Vassar, and has since pestered me about coordinating a campus World Food Day event in October (with my schedule? Sorry, buddy.). I forgive his nagging, though, due to his exciting selection of freshly brewed nettle and hibiscus teas, wheatgrass juice, salad mixes, dried cinnamon apple slices, and dehydrated kale, and thoroughly intend to visit his restaurant further upstate in the near future. Every Thursday fills my soul with joy to pay homage to the Arlington Farmers Market, miniscule in comparison to my beloved DCFM, but welcoming, well-stocked, and community-oriented, nonetheless. Comment Provoking Questions: How large is your local farmers market? Does it mostly boast produce or are there other specialty items? Do you follow your own “market map”?